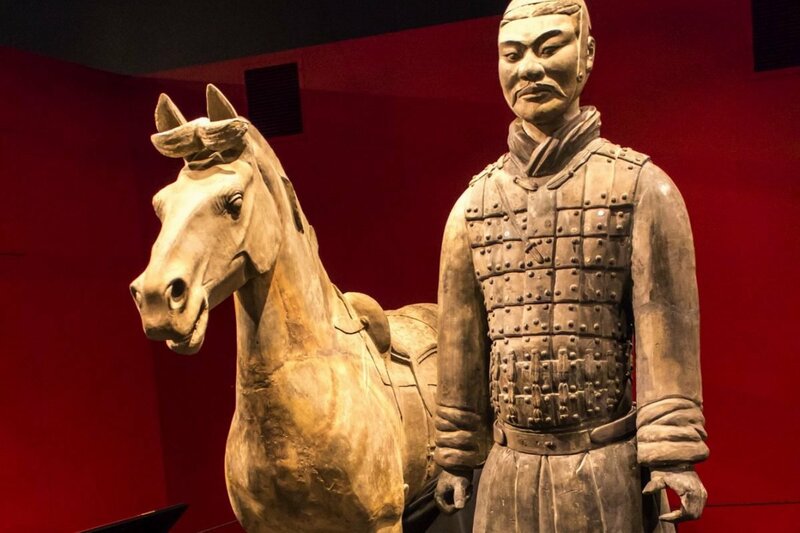 XI'AN -- The cultural relics authority of Northwest China's Shaanxi province is formulating a plan to repair a terracotta warrior statue whose thumb was stolen by a member of the public while on display at a Philadelphia museum last year. The statue, which dates back to at least 209 BC, has already been returned to China, along with the recovered thumb, according to the Shaanxi Provincial Cultural Relics Bureau. Last year, a 24-year-old American man stole the thumb from the statue when it was on display at the Franklin Institute in Pennsylvania. "The incident was unusual, but the bureau will not end overseas displays and other activities of its cultural relics," said Zhou Kuiying, the bureau's deputy director. Stricter security measures will be made for future displays, he added.